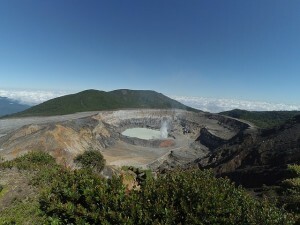 Costa Rica is the ideal tropical paradise for your vacation. Tourists can enjoy the pristine beaches and see whales and dolphins play. For Nature lovers there is a great variety of exotic wildlife and tropical plants. Butterflies and orchids, crocodiles and sharks, turtles and Toucans´ are everywhere. The rainforest covering the mountains are a paradise for eco tourism. Life is good in Costa Rica, a friendly, democratic and peaceful country. For action vacation you can surf, hike, do rafting, canopying, diving, deepwater fishing and snorkeling. You can go with a low budget or seek the more exclusive resorts. For relaxation there are beautiful unique golf courses and luxury spas. The hotels have all the modern comforts in the most private and secluded environments. Costa Rica has it all. From colorful woven hammocks and wood handicrafts to indigenous pottery, Costa Rica’s souvenirs promise plenty for the discriminating buyer. Open-air markets, souvenir shops, and upscale galleries are prevalent throughout the country and display a wide array of goods. Keep in mind that prices are fixed at most stores and art galleries, but bargaining is a helpful skill at craft markets and street stalls. Restaurants in towns and cities serve a variety of foods including Chinese, French, Italian, Mexican and North American. Food usually ranges from satisfactory to sublime. In San José, options range from expensive and exemplary gourmet restaurants to cheap sodas (small, simple restaurants) serving local food, including set lunches called casados at bargain prices. Known as ‘playas’ in Spanish, the beaches of Costa Rica are often referred to as the most idyllic and beautiful in the world. With a coastline that stretches over 1800 km (1100 miles), Costa Rica is home to a multitude of amazingly breathtaking beaches. From rocky shores to gorgeous palm tree lined white sand beaches, Costa Rica’s fantastic coast offers something for everyone. Golden sand beaches, gray sand beaches, black sand beaches, and pink sand beaches can be found dotted all along Costa Rica’s lush coastal plains, making this country a truly spectacular beach destination. A Cloud Forest is a specific type of rainforest in which cloud covers the foliage and deposits moisture directly onto the leaves. The Monteverde Cloud Forest is the place in Costa Rica where visitors come to experience the unique environment. Even though the clouds don”t actually rain onto the canopy, the humidity is so high that the moisture that does make it onto the leaves often drips to the rainforest floor. Since bursting into the sky in 1968, the Arenal Volcano of Costa Rica has been constantly active, glowing in the night and sending lava flowing down towards the north. The area around is filled with prime opportunities for tourists, like the Tabacon Hot springs, whose geothermal pool are warmed by hot streams which flow from the base of the volcano. Lake Arenal is a great drive as well. A road runs from the town of La Fortuna past a lookout point facing the northern side of El Arenal and continues around the lake and down to the Monteverde Cloud Forest. You could spend days exploring this part of northwestern Costa Rica. The Tabacon Hot springs are natural geothermal pools that are fed by the Tabacon River, which begins deep in the Arenal volcano. There, the water is heated to 101 degrees, after which it flows 3 quarters of the mile to the natural pools of the Tabacon Hot Springs. This is where the river splits up and joins with another river. Pools of varying sizes and temperatures make this a tropical playground for you to explore. Exotic plants add to the lush environment. A heated waterfall is near the mouth of the river, and you can sit under it and let the water massage your body. A swim up bar at the pool add to the luxurious feeling of being here. Mountainous terrain and a long rainy season make Costa Rica rafting an activity that draws tourists here from all over the world. 6 of the major white water rivers can be the setting of an invigorating leg of your next spectacular Costa Rica tour, taking you through some of the best scenery in the whole country. Olympic teams practice kayaking here alongside tourists experiencing whitewater rafting in Costa Rica for the first time. 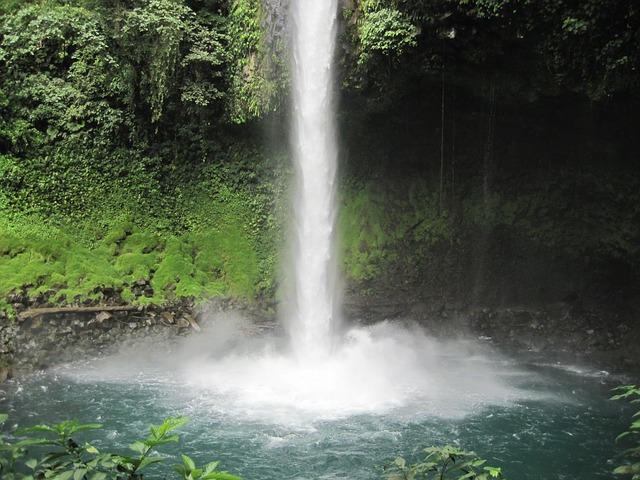 The best time to travel to Costa Rica is the Dry Season from December to April. The first few months of the Rainy Season, May to July are also good, since the main tourist attractions are less crowded. What vaccinations are required for travel to Costa Rica? The Centers for Disease Control and Prevention’s website provides recommended and/or required vaccinations for each country. For Costa Rica, it recommends that you should be up-to-date with routine shots such as measles/mumps/rubella (MMR) vaccine, diphtheria/pertussis/tetanus (DPT) vaccine, and poliovirus vaccine, and that you get vaccinated for Hepatitis A and Typhoid, and Hepatitis B, depending upon your travel plans. 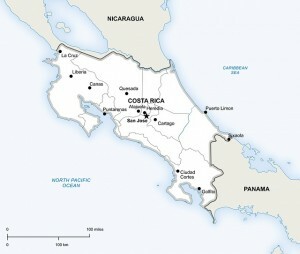 Although Yellow Fever is not a disease risk in Costa Rica, the government requires travelers arriving from certain countries where Yellow Fever is present to present proof of Yellow Fever vaccination. A list of those countries is shown on the Center for Disease Control’s website here. The CDC also suggests that you see a health-care provider at least 4-6 weeks before your trip to allow time for your vaccines to take effect. What are the passport/visa requirements for American citizens traveling to Costa Rica? U.S., Canadian, and EU citizens (except Bulgaria and Ireland) require a passport valid for at least 30 days from date of entry and return ticket for stays of up to 90 days. Citizens of Australia, Bulgaria, and Ireland require a visa for stays beyond 30 days. Citizens of other countries are advised to contact the Costa Rican embassy in their country before traveling. What are the standard wall currents and electrical socket shapes in Costa Rica? Voltage: 120 V; Frequency: 60 HZ; Plugs: Type A (Flat blade attachment plug) and Type B (Flat blades with round grounding pin). What are the international departure taxes for Costa Rica? $26.00 per passenger. For departures from Juan Santamaria International Airport, you can pay with a credit card.